Villara Has A long History of Craftsmanship For over six decades and more than 200,000 home cooling system installations later, Villara Building Systems has been the standard for excellence in the HVAC trade. 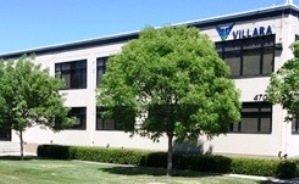 Villara has become one of the largest heating and air companies in the United States with four locations throughout Northern California including the 160,000 square foot main office in Sacramento, CA. Today Villara is an HVAC, Plumbing, Fire Sprinkler, Solar, and Home Automation installer. The firm’s business focus is residential new construction, commercial new construction, as well as retrofit work in both residential and commercial sectors. In addition Villara has designed, patented, and manufactures energy efficient products including the AquaChill system, www.aqua-chill.com, the Zoned Thermal Equalizer, and the SmartVent.